The scipy package contains various toolboxes dedicated to common issues in scientific computing. Its different submodules correspond to different applications, such as interpolation, integration, optimization, image processing, statistics, special functions, etc. scipy can be compared to other standard scientific-computing libraries, such as the GSL (GNU Scientific Library for C and C++), or Matlab’s toolboxes. 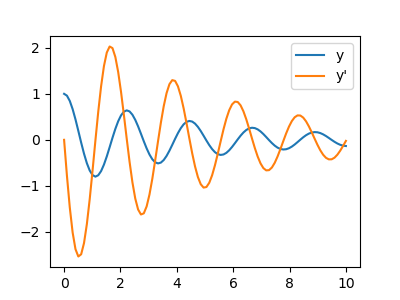 scipy is the core package for scientific routines in Python; it is meant to operate efficiently on numpy arrays, so that numpy and scipy work hand in hand. Before implementing a routine, it is worth checking if the desired data processing is not already implemented in Scipy. As non-professional programmers, scientists often tend to re-invent the wheel, which leads to buggy, non-optimal, difficult-to-share and unmaintainable code. 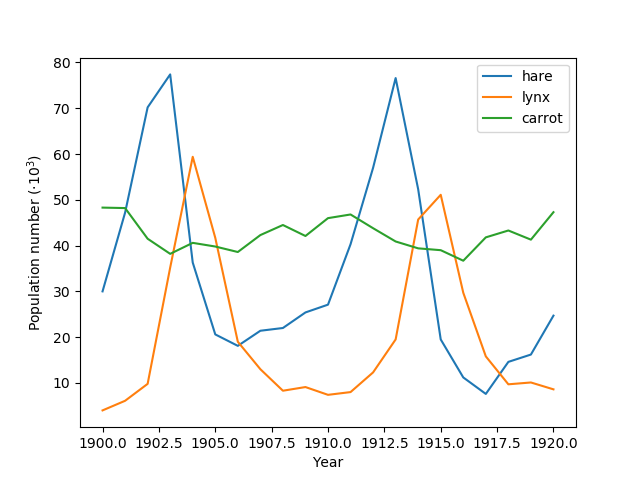 By contrast, Scipy’s routines are optimized and tested, and should therefore be used when possible. This tutorial is far from an introduction to numerical computing. As enumerating the different submodules and functions in scipy would be very boring, we concentrate instead on a few examples to give a general idea of how to use scipy for scientific computing. The main scipy namespace mostly contains functions that are really numpy functions (try scipy.cos is np.cos). 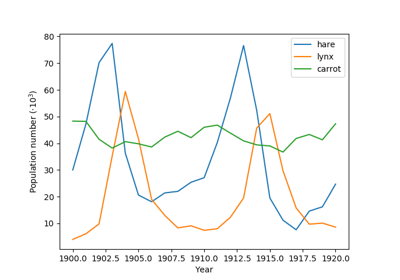 Those are exposed for historical reasons; there’s no reason to use import scipy in your code. 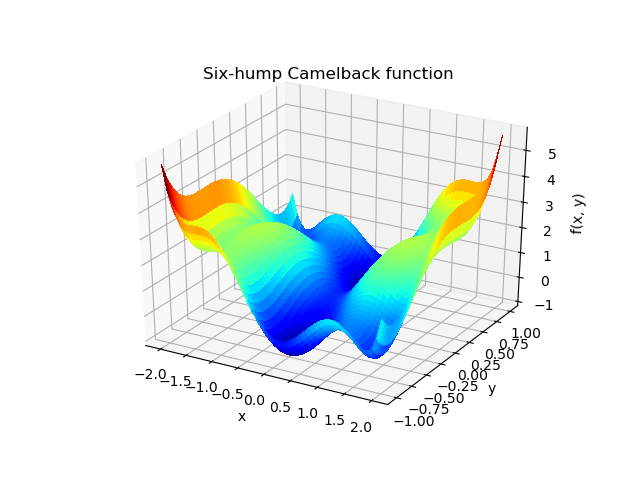 Gamma function: scipy.special.gamma(), also note scipy.special.gammaln() which will give the log of Gamma to a higher numerical precision. 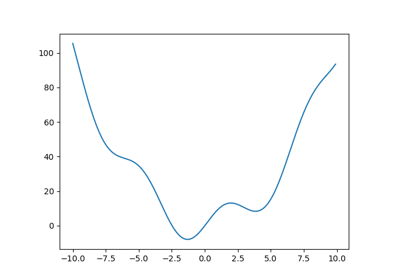 The scipy.linalg module provides standard linear algebra operations, relying on an underlying efficient implementation (BLAS, LAPACK). SVD is commonly used in statistics and signal processing. Many other standard decompositions (QR, LU, Cholesky, Schur), as well as solvers for linear systems, are available in scipy.linalg. 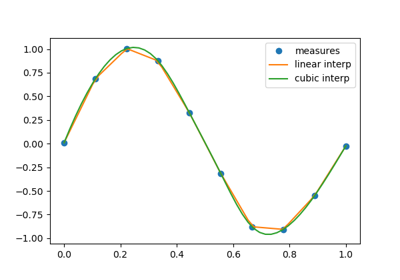 scipy.interpolate is useful for fitting a function from experimental data and thus evaluating points where no measure exists. The module is based on the FITPACK Fortran subroutines. 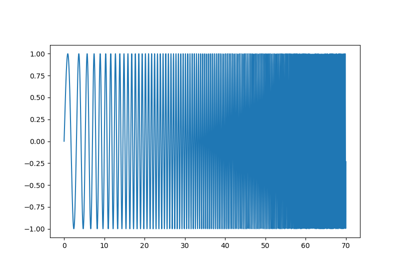 scipy.interpolate.interp2d is similar to scipy.interpolate.interp1d, but for 2-D arrays. Note that for the interp family, the interpolation points must stay within the range of given data points. See the summary exercise on Maximum wind speed prediction at the Sprogø station for a more advanced spline interpolation example. Optimization is the problem of finding a numerical solution to a minimization or equality. 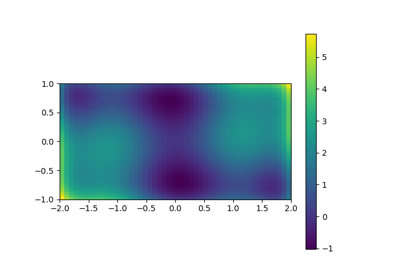 The scipy.optimize module provides algorithms for function minimization (scalar or multi-dimensional), curve fitting and root finding. Define a function that can describe min and max temperatures. Hint: this function has to have a period of 1 year. Hint: include a time offset. 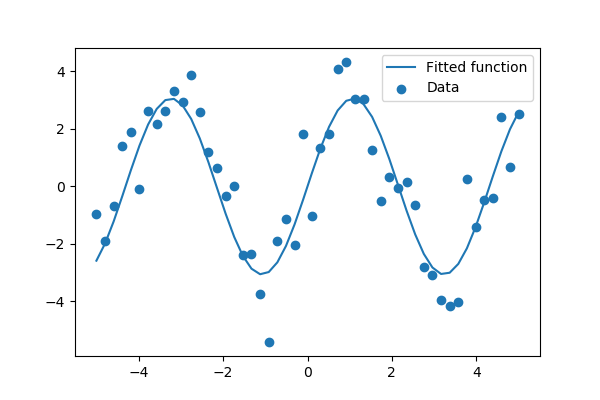 Fit this function to the data with scipy.optimize.curve_fit(). Plot the result. Is the fit reasonable? If not, why? Is the time offset for min and max temperatures the same within the fit accuracy? This function has a global minimum around -1.3 and a local minimum around 3.8. Note how it cost only 12 functions evaluation above to find a good value for the minimum. scipy used to contain the routine anneal , it has been removed in SciPy 0.16.0. As minimize() works in general with x multidimensionsal, the “bounds” argument is a list of bound on each dimension. What has happened? Why are we finding 0, which is not a mimimum of our function. To minimize over several variables, the trick is to turn them into a function of a multi-dimensional variable (a vector). See for instance the exercise on 2D minimization below. scipy.optimize.minimize_scalar() is a function with dedicated methods to minimize functions of only one variable. Finding minima of function is discussed in more details in the advanced chapter: Mathematical optimization: finding minima of functions. has multiple global and local minima. Find the global minima of this function. Variables can be restricted to and . 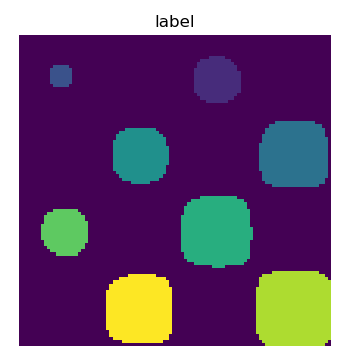 Use numpy.meshgrid() and pylab.imshow() to find visually the regions. Use scipy.optimize.minimize(), optionally trying out several of its `methods’. 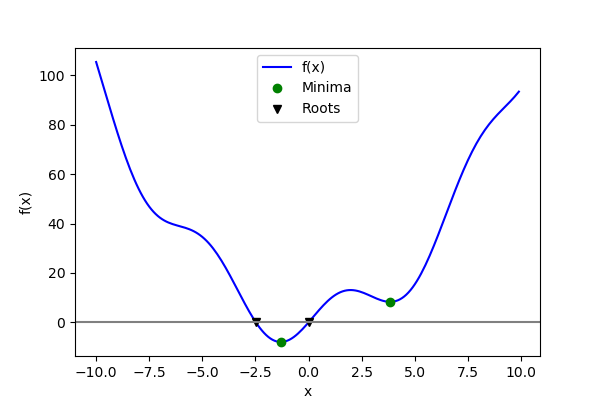 How many global minima are there, and what is the function value at those points? What happens for an initial guess of ? 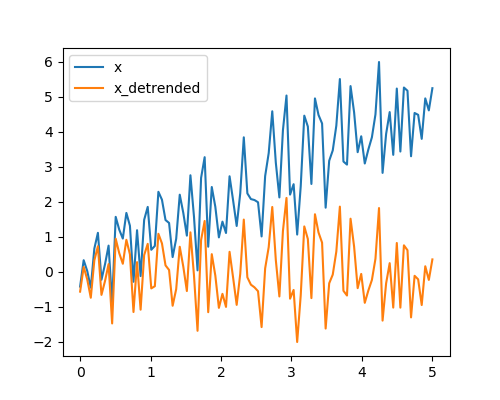 scipy.optimize.root() also comes with a variety of algorithms, set via the “method” argument. You can find all algorithms and functions with similar functionalities in the documentation of scipy.optimize. See the summary exercise on Non linear least squares curve fitting: application to point extraction in topographical lidar data for another, more advanced example. 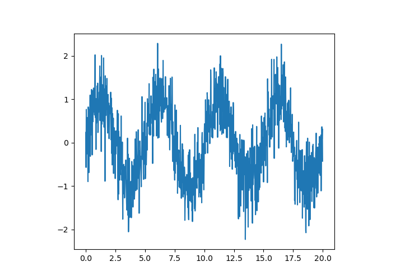 The module scipy.stats contains statistical tools and probabilistic descriptions of random processes. 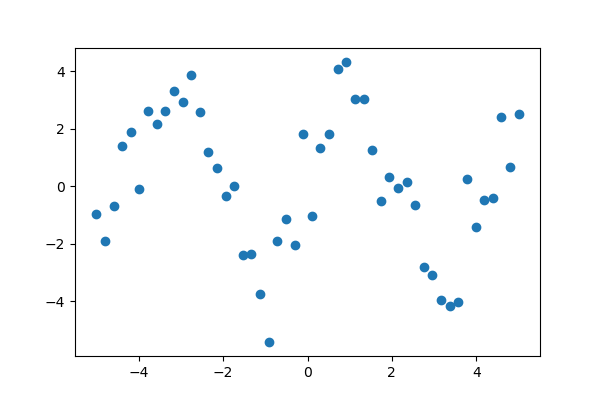 Random number generators for various random process can be found in numpy.random. scipy.stats.norm is a distribution object: each distribution in scipy.stats is represented as an object. 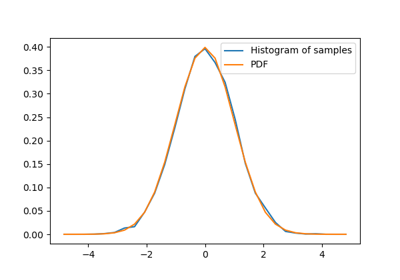 Here it’s the normal distribution, and it comes with a PDF, a CDF, and much more. 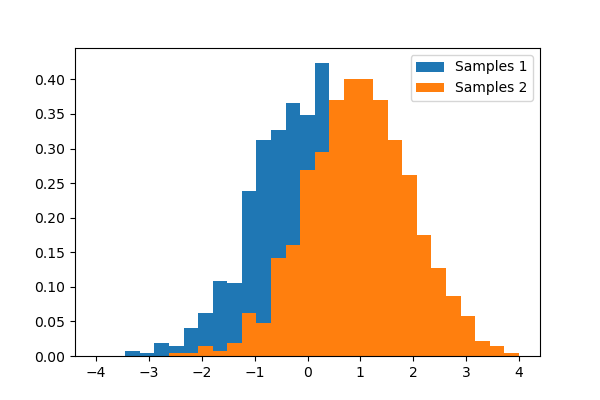 Generate 1000 random variates from a gamma distribution with a shape parameter of 1, then plot a histogram from those samples. Can you plot the pdf on top (it should match)? Extra: the distributions have many useful methods. Explore them by reading the docstring or by using tab completion. 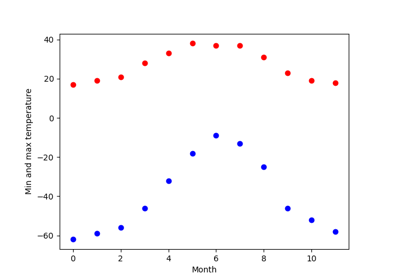 Can you recover the shape parameter 1 by using the fit method on your random variates? Unlike the mean, the median is not sensitive to the tails of the distribution. It is “robust”. Which one seems to be the best estimator of the center for the Gamma distribution? 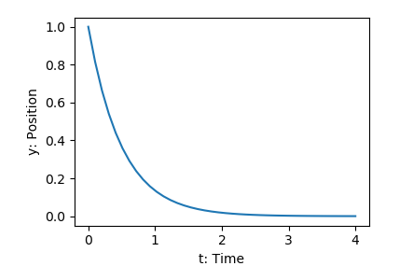 The percentile is an estimator of the CDF: cumulative distribution function. 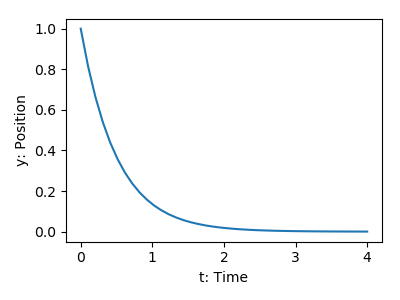 The T statistic value: it is a number the sign of which is proportional to the difference between the two random processes and the magnitude is related to the significance of this difference. the p value: the probability of both processes being identical. If it is close to 1, the two process are almost certainly identical. The closer it is to zero, the more likely it is that the processes have different means. The chapter on statistics introduces much more elaborate tools for statistical testing and statistical data loading and visualization outside of scipy. 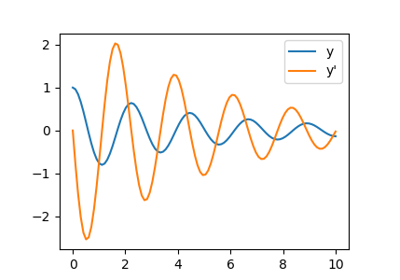 scipy.integrate.odeint() uses the LSODA (Livermore Solver for Ordinary Differential equations with Automatic method switching for stiff and non-stiff problems), see the ODEPACK Fortran library for more details. 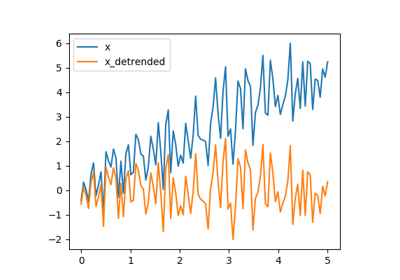 There is no Partial Differential Equations (PDE) solver in Scipy. Some Python packages for solving PDE’s are available, such as fipy or SfePy. 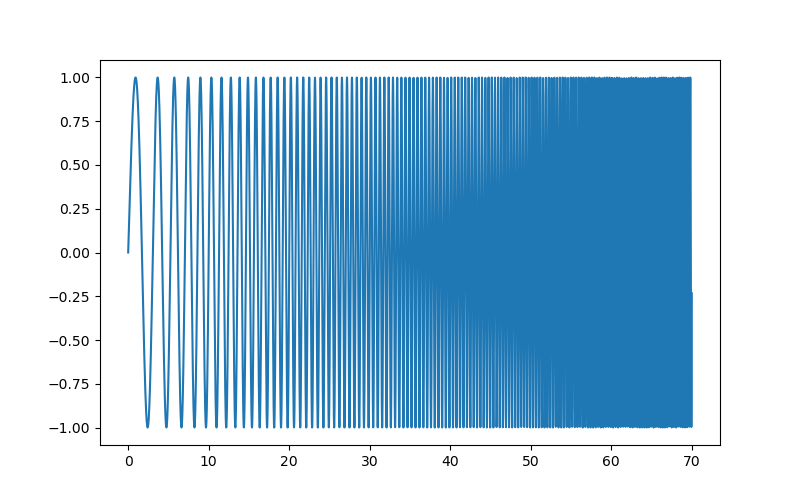 As the signal comes from a real function, the Fourier transform is symmetric. 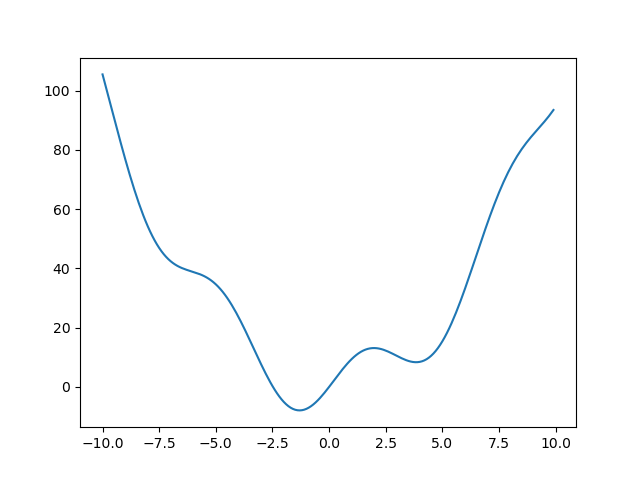 Setting the Fourrier component above this frequency to zero and inverting the FFT with scipy.fftpack.ifft(), gives a filtered signal. 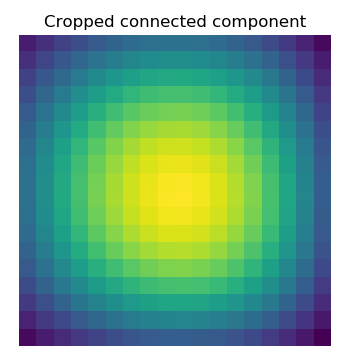 Numpy also has an implementation of FFT (numpy.fft). However, the scipy one should be preferred, as it uses more efficient underlying implementations. 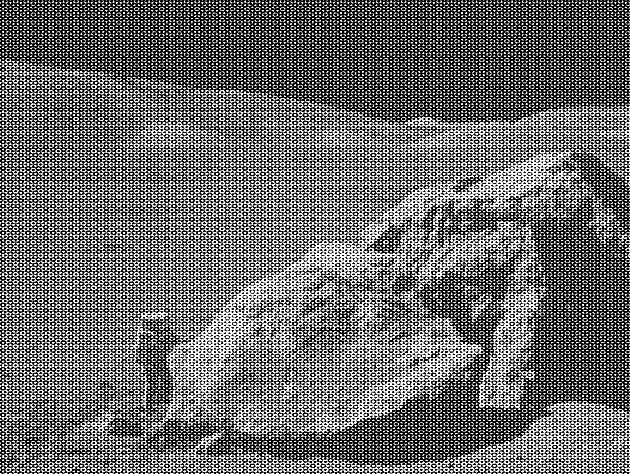 Examine the provided image moonlanding.png, which is heavily contaminated with periodic noise. 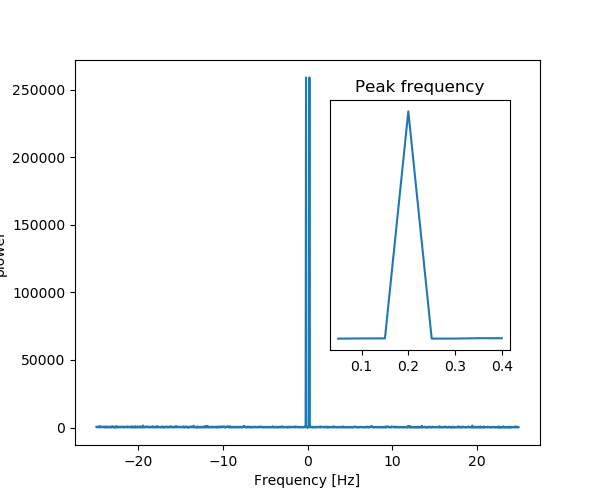 In this exercise, we aim to clean up the noise using the Fast Fourier Transform. 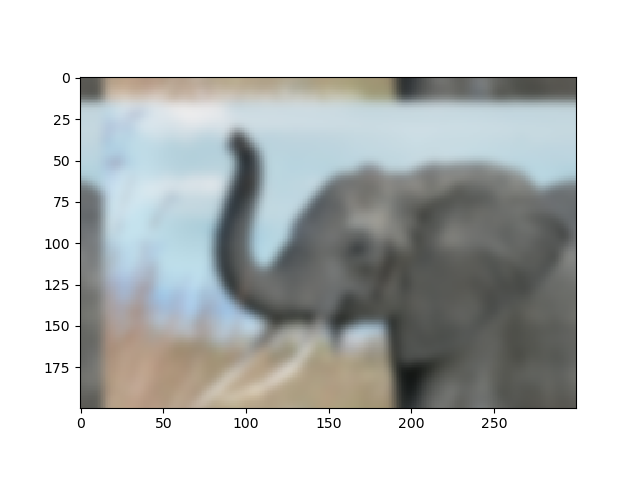 Load the image using pylab.imread(). 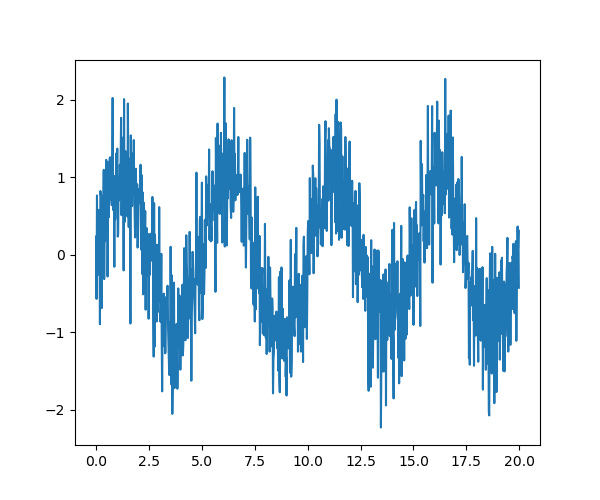 Find and use the 2-D FFT function in scipy.fftpack, and plot the spectrum (Fourier transform of) the image. Do you have any trouble visualising the spectrum? If so, why? The spectrum consists of high and low frequency components. 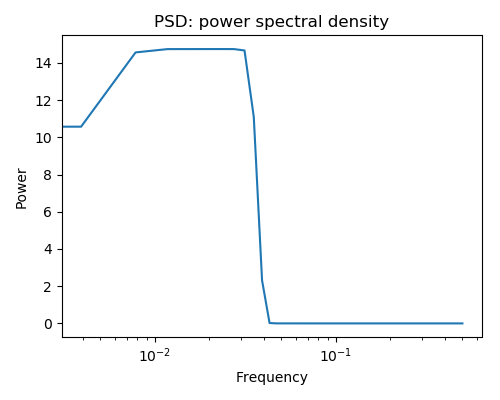 The noise is contained in the high-frequency part of the spectrum, so set some of those components to zero (use array slicing). 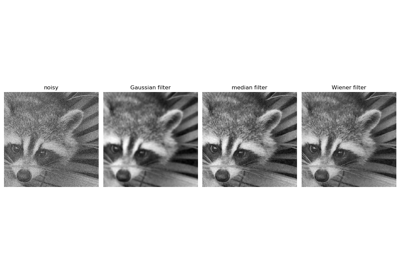 Apply the inverse Fourier transform to see the resulting image. 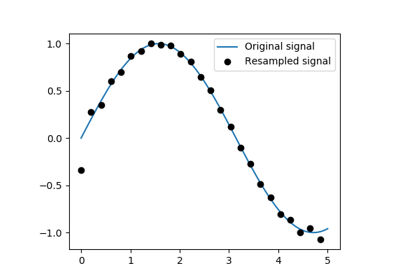 scipy.signal is for typical signal processing: 1D, regularly-sampled signals. 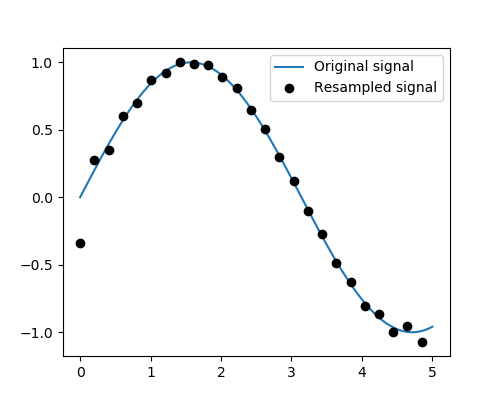 Resampling scipy.signal.resample(): resample a signal to n points using FFT. Notice how on the side of the window the resampling is less accurate and has a rippling effect. 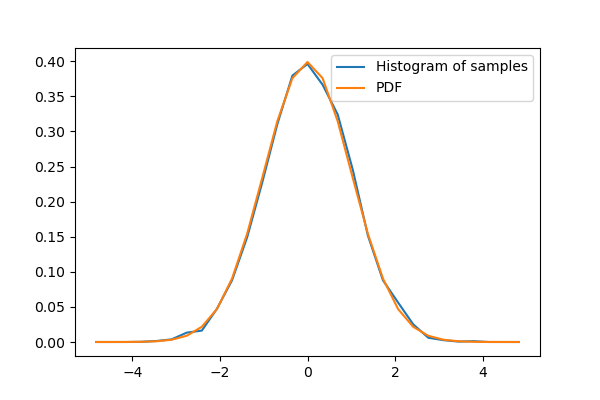 This resampling is different from the interpolation provided by scipy.interpolate as it only applies to regularly sampled data. 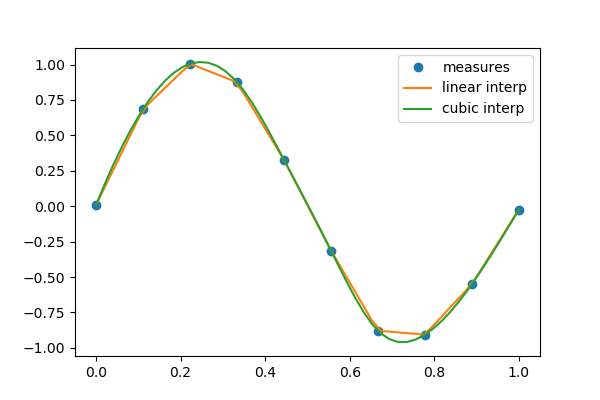 Filtering: For non-linear filtering, scipy.signal has filtering (median filter scipy.signal.medfilt(), Wiener scipy.signal.wiener()), but we will discuss this in the image section. 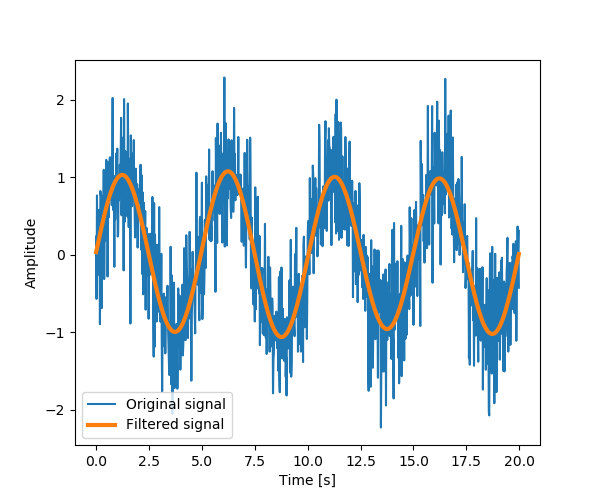 scipy.signal also has a full-blown set of tools for the design of linear filter (finite and infinite response filters), but this is out of the scope of this tutorial. 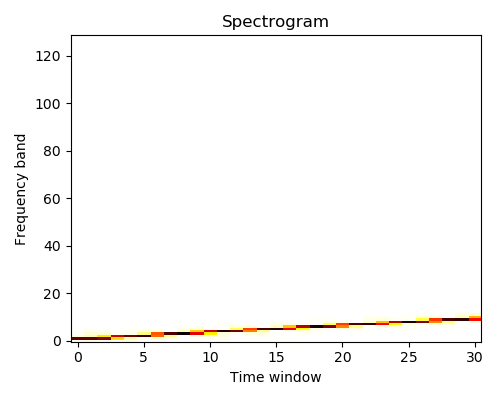 Spectral analysis: scipy.signal.spectrogram() compute a spectrogram –frequency spectrums over consecutive time windows–, while scipy.signal.welch() comptes a power spectrum density (PSD). 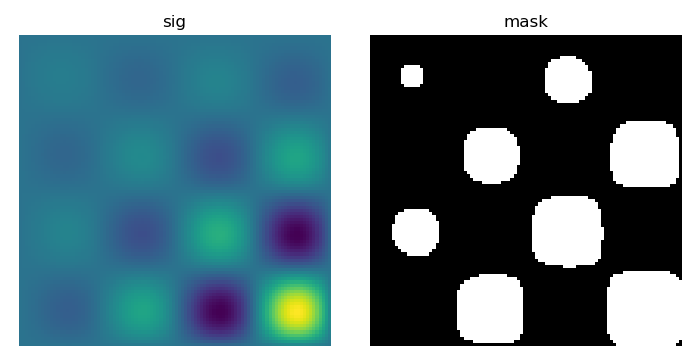 scipy.ndimage provides manipulation of n-dimensional arrays as images. 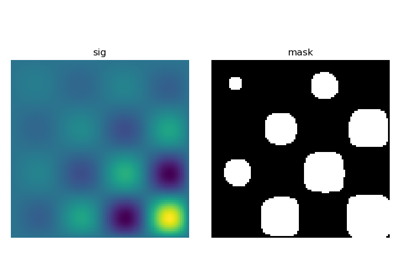 Other filters in scipy.ndimage.filters and scipy.signal can be applied to images. 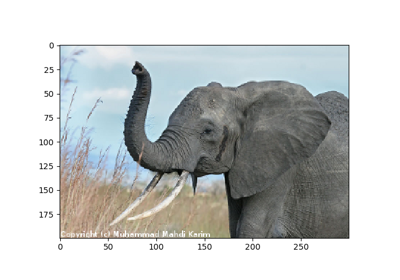 Compare histograms for the different filtered images. Mathematical morphology stems from set theory. It characterizes and transforms geometrical structures. 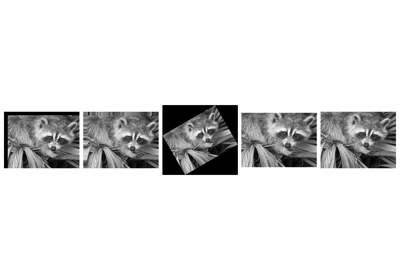 Binary (black and white) images, in particular, can be transformed using this theory: the sets to be transformed are the sets of neighboring non-zero-valued pixels. The theory was also extended to gray-valued images. Mathematical-morphology operations use a structuring element in order to modify geometrical structures. Check that opening amounts to eroding, then dilating. An opening operation removes small structures, while a closing operation fills small holes. Such operations can therefore be used to “clean” an image. Check that the area of the reconstructed square is smaller than the area of the initial square. (The opposite would occur if the closing step was performed before the opening). For gray-valued images, eroding (resp. dilating) amounts to replacing a pixel by the minimal (resp. maximal) value among pixels covered by the structuring element centered on the pixel of interest. 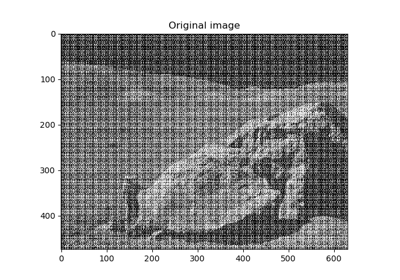 Let us first generate a nice synthetic binary image. 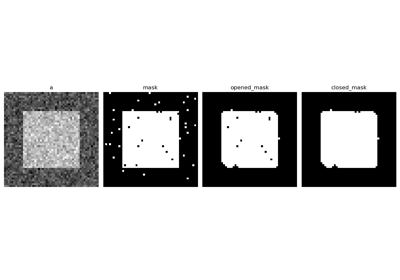 See the summary exercise on Image processing application: counting bubbles and unmolten grains for a more advanced example. 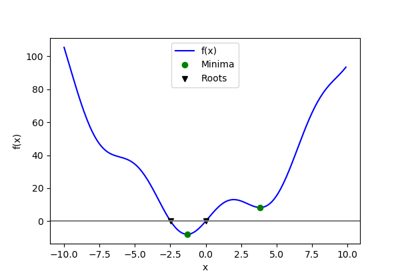 The summary exercises use mainly Numpy, Scipy and Matplotlib. They provide some real-life examples of scientific computing with Python. 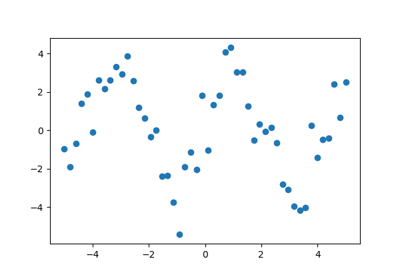 Now that the basics of working with Numpy and Scipy have been introduced, the interested user is invited to try these exercises.